A Van Gogh on your wrist! 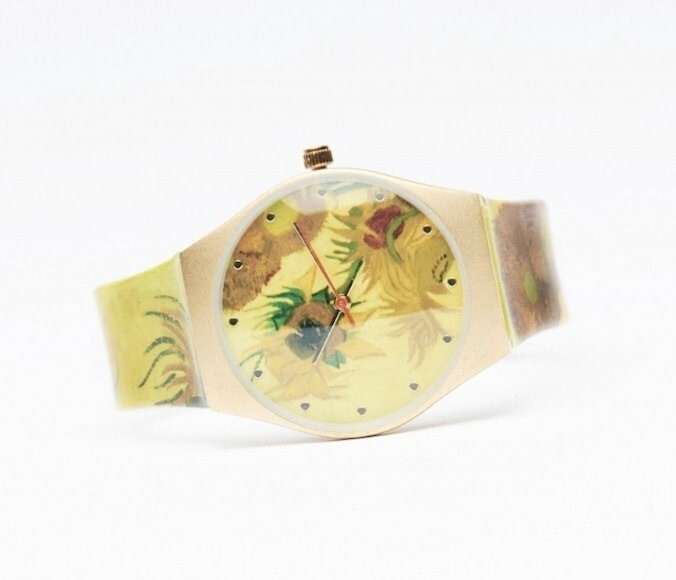 It's possible with a Van Gogh art watch from the Van Gogh Museum collection. In two different versions: one with the world famous 'Almond Blossom' on the dial and strap, the other with "Wheatfield with Crows" on its dial with a black colored strap. Something special for your wrist or as a present. A watch with the recognizable brush of van Gogh. Two versions, both of which are inspired by a work of this world-famous artist. One watch features 'Wheat field with Crows' on the dial and a black strap, the other features the famous "Sunflowers" on both the dial and strap. 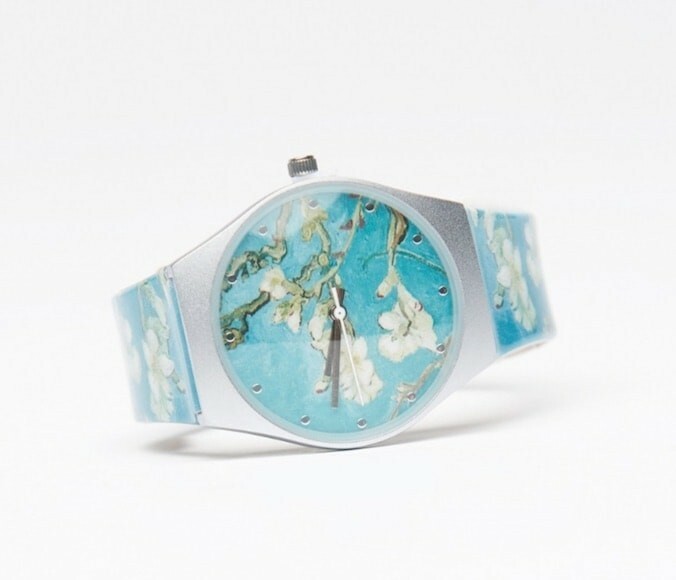 Van Gogh watches are unique and available in limited quantities. A special gift. One of the last paintings by Vincent van Gogh (1853-1890). Painted during the period when he was living in Auvers-sur-Oise, France. An oil painting from a series of landscapes on an unusual canvas format 100 x 50 cm. Van Gogh was born in the Netherlands and would later live in Paris and other places in France. He did not have such a happy life and people in his lifetime disliked his beautiful paintings. In all his life, he managed to sell only one of his paintings. He earned no money and remained forever dependent on his parents and brother Theo. In 1888, Vincent van Gogh cut off part of his left ear. He takes to drink and is eventually admitted to a psychiatric hospital. In 1890, he decided - on advice of his doctor - to concentrate on painting and he made his final series: Twelve elongated paintings of landscapes, including "Wheat field under thunderclouds ' and ' Tree roots'. On July 27, 1890 Vincent walked into a wheat field and shot himself in the chest. He left behind a large number of artworks: more than 850 paintings and nearly 1,300 works on paper.